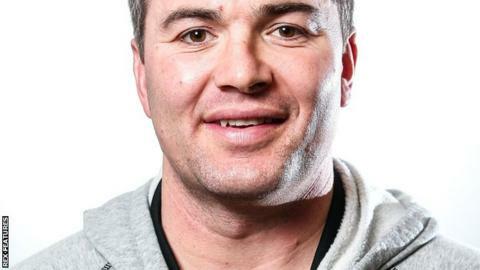 Former Salford and Wales coach Iestyn Harris says there is no immediate desire to return to coaching, but has not ruled it out in the future. Harris, 39, left the Red Devils toward the end of last season by mutual consent, after the club said he had been "absent through illness". The dual-code international also coached Wales' national team and worked under head coach Shaun Wane at Wigan. "Coaching is a very absorbing career," Harris told BBC Radio Manchester. "Playing is intense, but you can switch off and walk away from it for a while. In coaching you can't do that, it's 24/7, 365 days a year. "I did it for seven years but ultimately I made a family and life decision that there are things out there I want to do outside of coaching. "For the time being I'm not going to jump back in, but you never say never." As a player Harris won Man of Steel with Leeds, as well as Super League and Challenge Cup honours in addition to representing Wales in rugby union 25 times. Since his exit from Salford, Harris has worked for the BBC and other media organisations covering rugby league.